Julie was born in Sheffield, Yorkshire in 1952. She qualified as a furniture designer and spent many years in this profession. It not being an occupation with a high content of fun and flippancy, Julie found a convenient outlet in illustrating, cartooning, and writing whimsical verse. Her cartoons, birthday cards and Christmas cards were always of enormous delight to family, friends and colleagues. 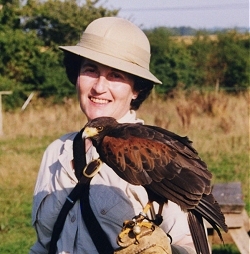 In 1982 Julie emigrated to South Africa where she later met and married John Hope, an electronics engineer. One night in 1995 the two of them wrote the songs for Christmas Carols for Cats in the back of a small notebook and on bits of paper serviette whilst dining in a Chinese restaurant in Johannesburg. 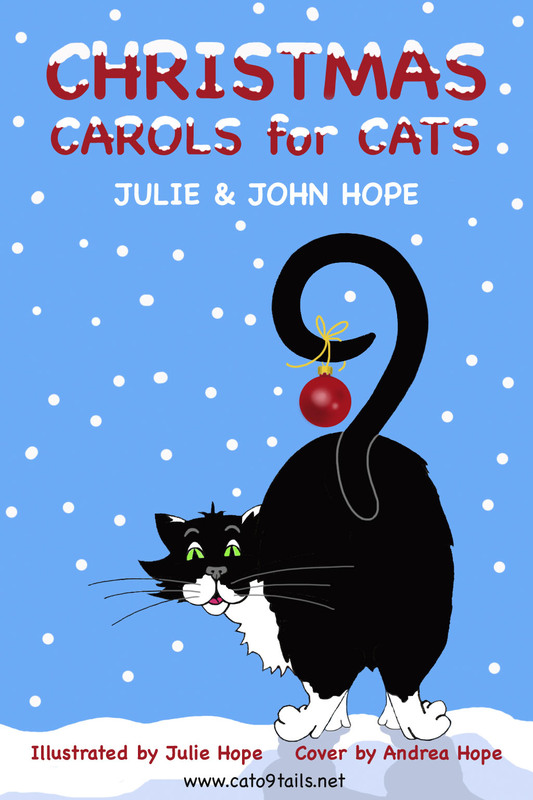 Christmas Carols for Cats was published by Bantam in 1996, but to Julie’s disappointment the publisher contracted a professional illustrator. 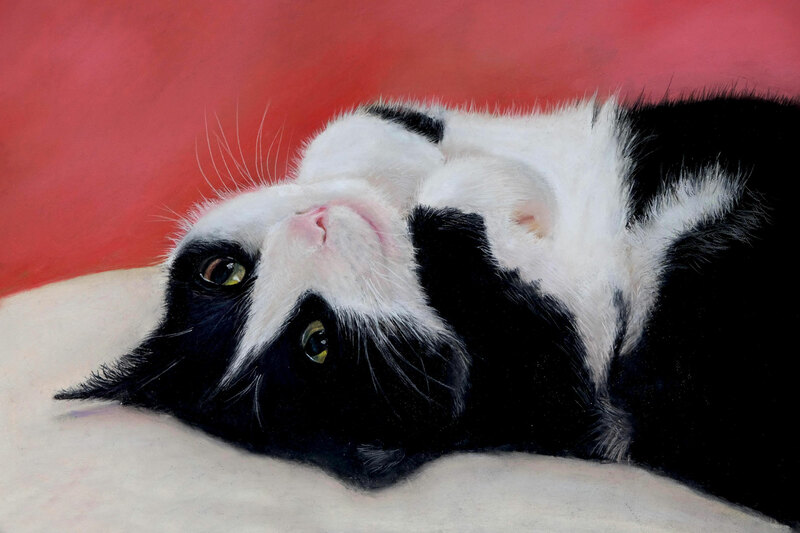 In 1997 Julie and John and their four cats relocated to Oxfordshire, UK. 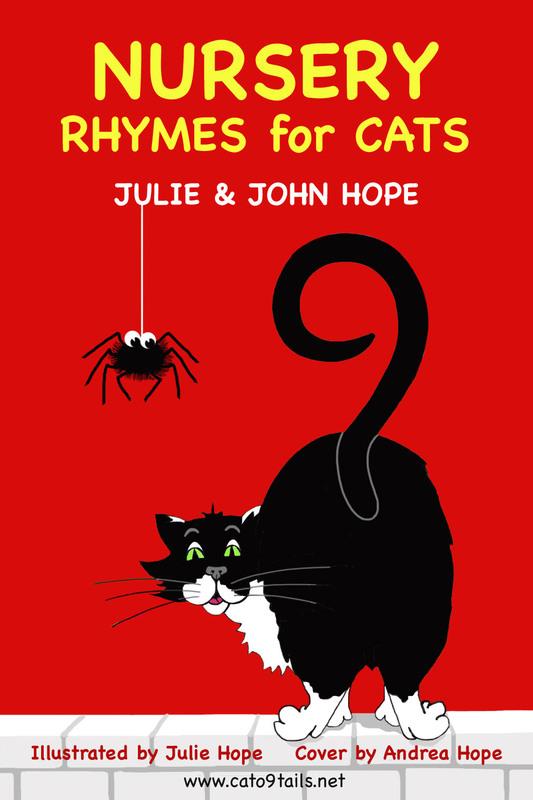 In 2007 John wrote his first full length book, Nine Lives, handsomely illustrated by Julie, which they self-published in September 2010. Sadly, Julie died later the same month after a long battle with cancer, fought with her typical optimism and good cheer. Her talent and her spirit will endure. 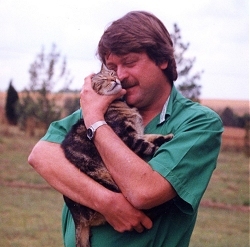 John was born in Johannesburg, South Africa in 1958 and began writing anthropomorphic stories about animals at age 6, encouraged by his grade 2 school teacher, Mrs Payne. Some of this was frowned upon by the headmaster because said stories failed the test of political correctness – not to mention health and safety – even in 1964. John’s other passion in life is electronics, which he enthusiastically embraced at age 8 and cemented over the next few decades by becoming an electronics engineer with several degrees, a lot of neat tools and some skill. 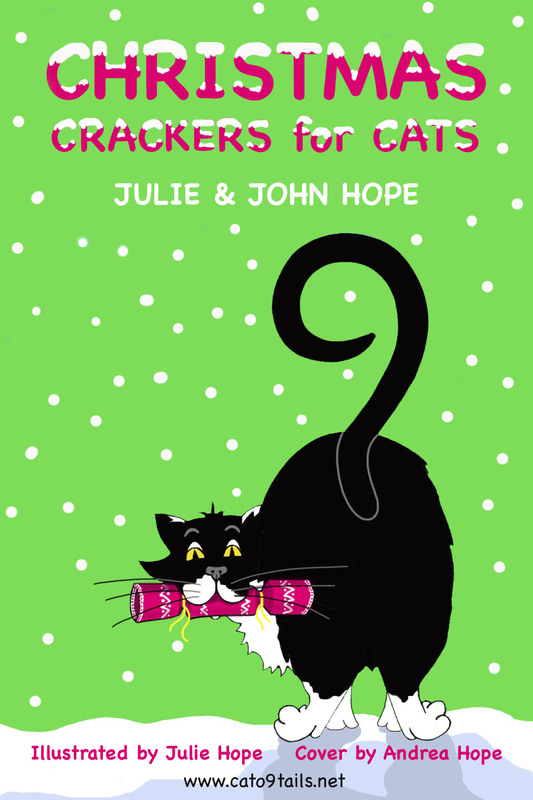 In 1990 he met and married Julie, an artist and designer, and the whimsical synergy that resulted from this union led to the publishing by Bantam of the successful “for Cats” series of books: “Christmas Carols for Cats“, “Nursery Rhymes for Cats“, and “Christmas Crackers for Cats“. 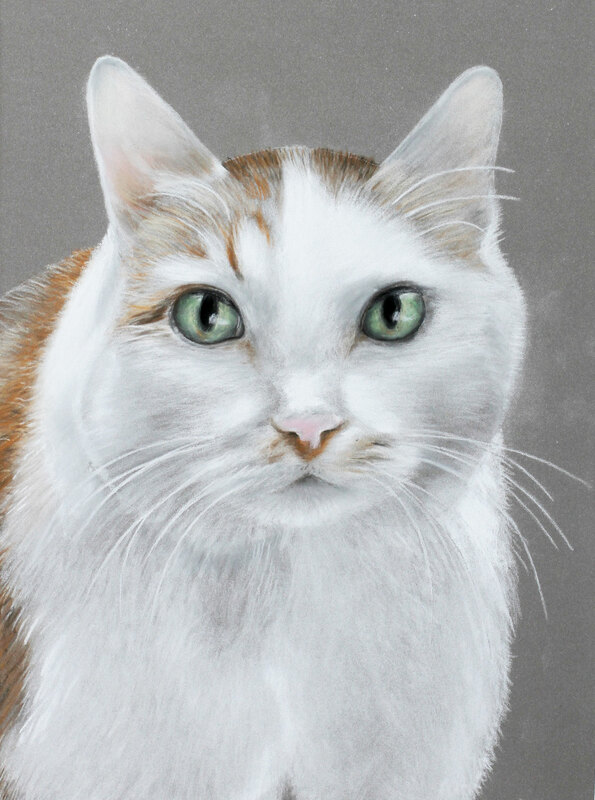 In 2007 John wrote his first full length book, “Nine Lives“, which was illustrated by Julie and published in 2010. 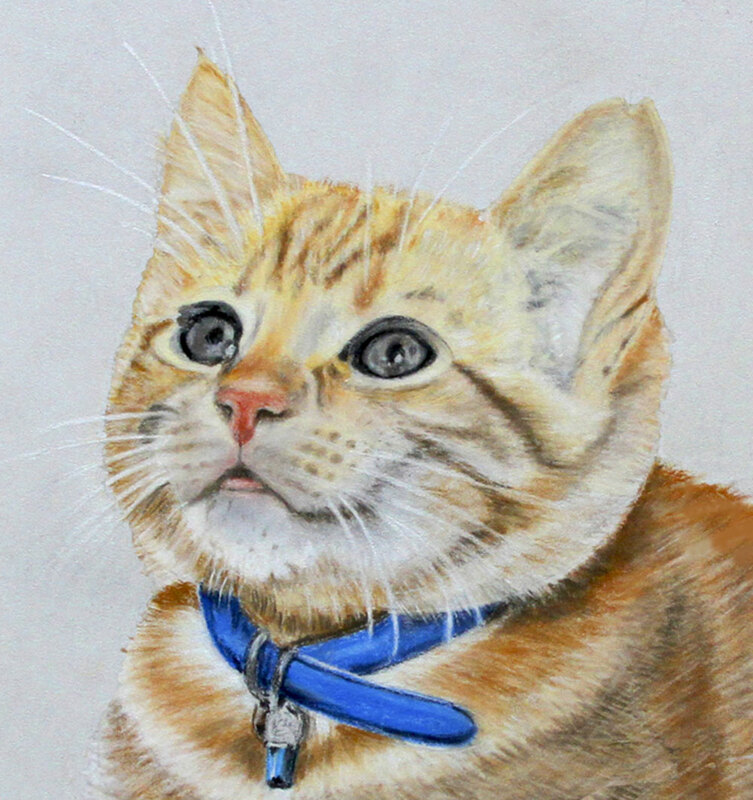 Having completed this website, John intended to keep writing books and online media for lovers of cats, whimsy and quirkiness, making good use of Julie’s archive of illustrations. In 2013 John published “Hatching Discordia“, a quirky and satirical adventure story that has nothing to do with cats and everything to do with the foibles of humanity. 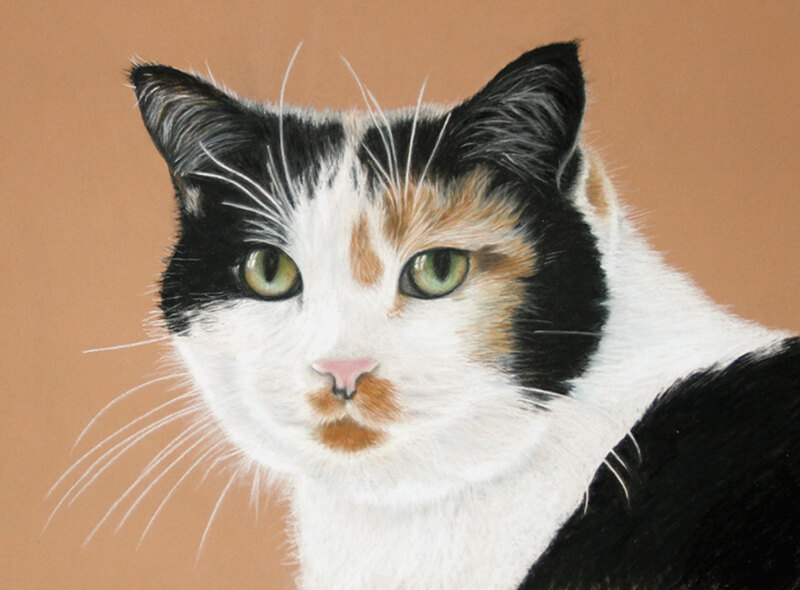 John and his new wife Andrea, lived happily together in rural Gloucestershire for five years with their cat, Rinpoche. Unfortunately, John died of a heart attack in September 2016. He lives on for us through his wonderful stories, which reflect his spirit of fun and zany sense of humour. We will continue to post John’s remaining stories about Rinpoche on this website. Andrea Hope was born in West Yorkshire and studied graphic design. She enjoyed a long career in this field, working in advertising, TV, and package design, before switching to work in travel in the nineties. Andrea is a talented artist and photographer. 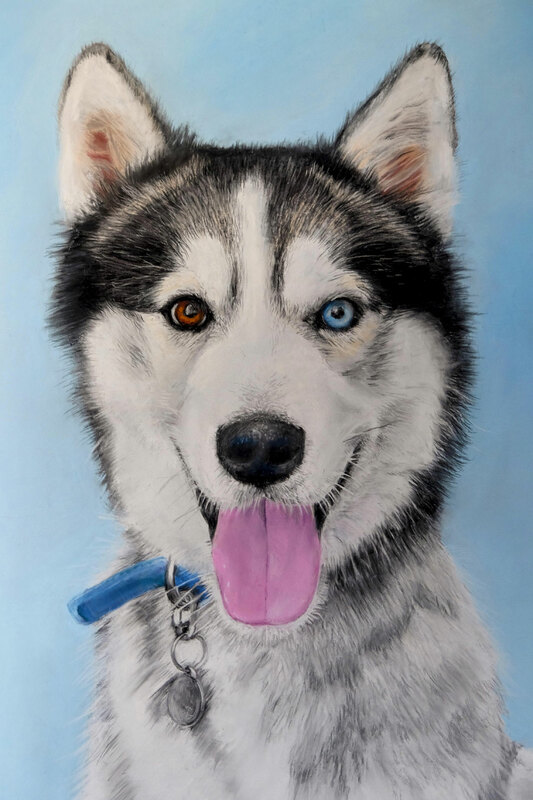 Examples of her work, including her beautiful hand-drawn portraits and greeting cards, can be seen on her website: www.pi-artstudios.com. 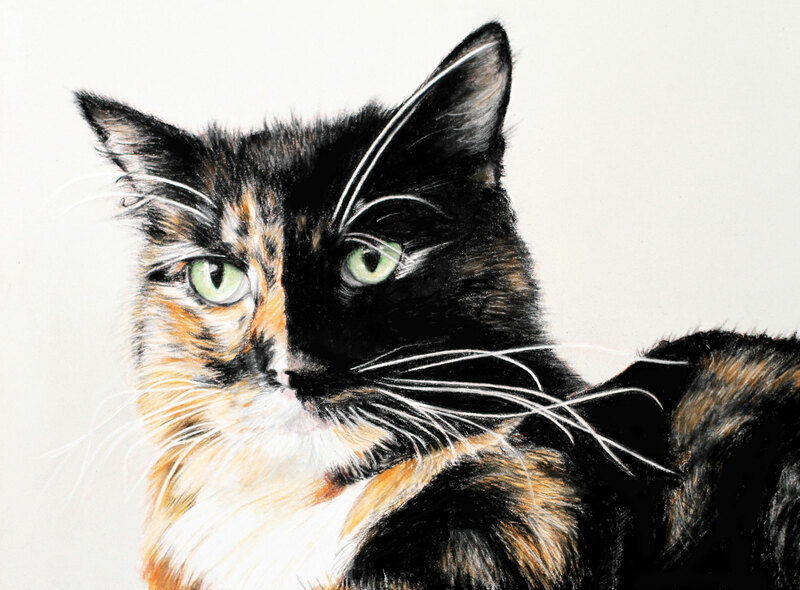 Her artwork reveals a careful attention to detail and is infused with warmth and empathy. Her sense of fun, generosity, and loyalty were attributes that drew her and John Hope to each other. They married in 2011 and enjoyed a very happy life together prior to John’s sudden death in 2016. Throughout their marriage, Andrea was always supportive of John’s writing. At the time of his death, John had been working on his website and was looking forward to posting his first stories. 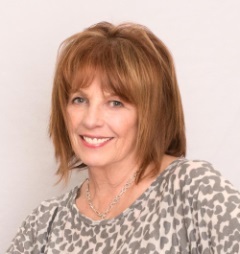 In her determination to bring John’s project to fruition, Andrea applied her impressive organizational skills, honed during years of managing her own travel business. With the help of her team, comprising the obliging web designer, David, helpful PA, Lesley, and writer, Diana, Andrea has ensured that the weekly Rinpoche posts continue. The real Rinpoche lives in Gloucestershire with Andrea, and we have it on good authority that she still holds her official position as Chief and Only Cat of the House. As such, she is very satisfied with the excellent services of her attendant, Andrea. As the younger brother of Diana, John Hope was her captive audience when they were children. She told him endless stories and constantly berated him for his inattention. Despite this ill treatment, the siblings shared an extremely close bond that continued throughout their adult years. They both had an irreverent sense of humour and appreciation of eccentricity. John was Diana’s closest friend, staunchest supporter, and a candid and constructive critic of her writing. Diana majored in English literature and Latin and was a teacher and freelance writer of children’s stories and humorous articles. 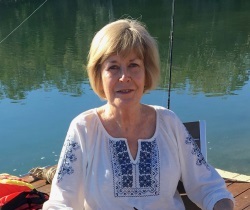 Now retired and living in Brisbane with her husband, she has contributed some of the Rinpoche stories on this website and will write all future blog posts. 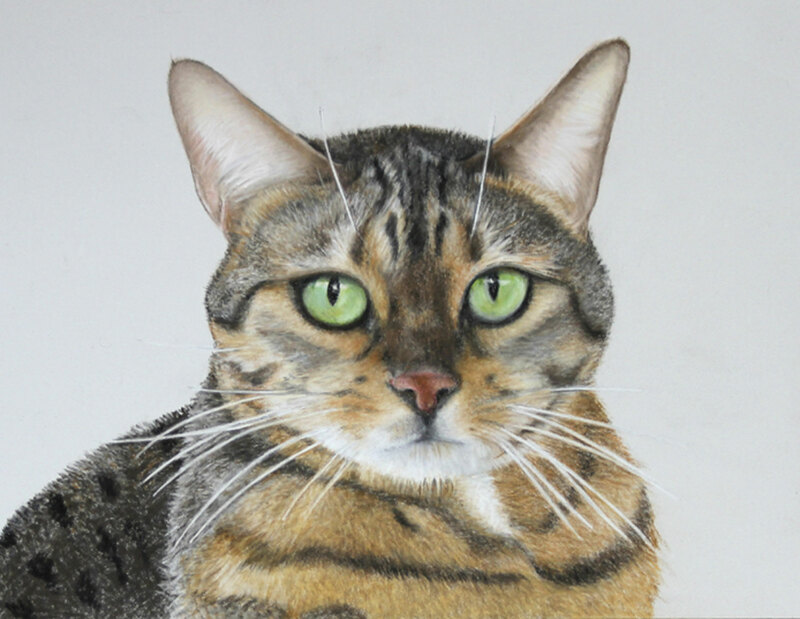 She is pleased to have been able to feature the wonderful illustrations of Julie Hope in her posts as well as a splendid hand-drawn cat portrait by Andrea Hope. Diana feels privileged to have known both Julie and Andrea as family members, valued friends, and her partners in creative projects. She treasures Julie’s beautiful greeting cards and her illustrations for one of Diana’s books, done at a time when Julie was gravely ill. Diana is equally grateful to Andrea for the love and dedication she has shown in honouring John’s memory and promoting his whimsical writing after his death.